A press conference to launch the Campaign for a Social Europe’s ‘Campaign against the Austerity Treaty’ was held in Dublin’s Mont Clare Hotel on Tuesday, January 24. The Campaign for a Social Europe is the successor organisation to the Campaign against the European Union Constitution (CAEUC) group that campaigned for a No vote in both Lisbon Treaty referendums. The proposed Treaty on Stability, Co-ordination and Governance in the Economic and Monetary Union is the latest initiative of the European Union elite to the end of furthering their ultimate goal of economic, political and monetary union. 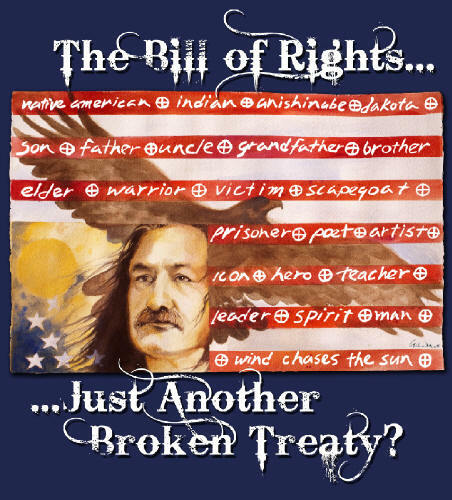 We, the Ireland for Peltier Group, need your help. Please sign the petition, take this link and pass it to each and all your contacts, asking them to also move it forward. We are trying to obtain as many signatures as possible. This will be sent to United States President, Barack Obama and also to the United States Ambassador. Philip Ferguson: Could you tell us a bit about how you first got involved in politics? Gerry Ruddy: As long as I can remember I took an interest in what was going on in the world. For example I remember in 1956 when I was 10 praying for ‘Catholic Hungary’ when the Soviets invaded. I also remember the Cuban missile crisis when we all thought the world might end. I recall reading Michael Foot’s biography of Anuerin Bevan, the first real political book I had read, which helped direct me towards left politics. The election of Harold Wilson’s Labour Government and its subsequent betrayals also helped direct me towards the left. At university I joined the Labour Group and was influenced by the likes of Michael Farrell and Eamon McCann. I joined both the Northern Ireland Labour Party and the Irish Labour Party (which had branches in my local town of Newry), plus I was involved in the Young Socialists, CND etc in the late sixties. It was then I started reading the socialist classics, Lenin, Mao, Trotsky, Fanon, Guevara, Gramsci, Luxemburg and, of course, James Connolly. I remember selling copies of the Irish Militant on the Falls Road at the 50th anniversary of the 1916 Rising. PF: How did you come to join People’s Democracy? GR: I was still at university and along with other militants participated in the mass demonstrations that spontaneously followed the October 5, 1968 attack by the RUC (Royal Ulster Constabulary) on a peaceful civil rights march. In the following months there were many protests and meetings and it was a great political education. Gradually one could see the differences emerge between the left and the moderates both within Peoples Democracy and the broader civil rights movement. PF: How would you evaluate the role played by PD in its early years? For instance, some people in the Provisional IRA have talked about seeing PD as being more in tune with their politics in the late 1960s and early 1970s than Provisional Sinn Fein. On the other hand, a number of PD members went on to fairly anti-republican politics. 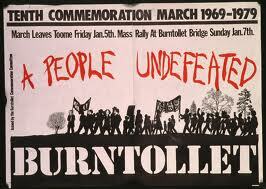 GR: Personally I believe that PD was for the years 1968-73 the driving force of the mass movement. When others took their foot off the pedal it was PD that would accelerate the engine of mass protest. Burntollet was one clear example of that. 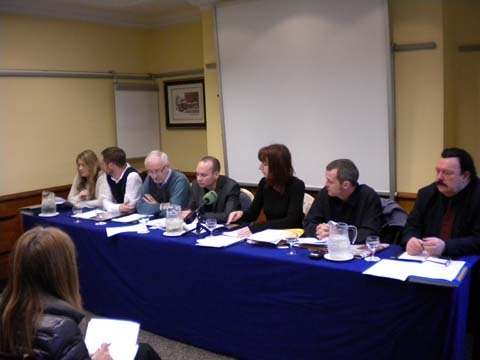 While building PD itself we also participated in united front tactics working within NICRA (the Northern Ireland Civil Rights Association), the Northern Resistance Movement, the Political Hostages Release Committee and God knows what else, as well as making contacts with socialist groups within Ireland and abroad. 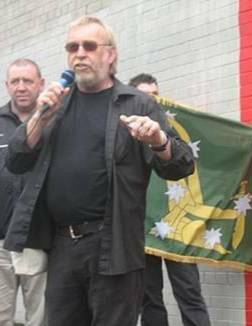 Naturally our militancy appealed to the nationalist working class in Belfast and some of our people worked closely with Provisional IRA members, some of whom had been originally in PD. We even had educational classes in marxism with some of them. While Provisional Sinn Fein was then regarded as a right-wing traditionalist party both PD and the PIRA were in favour of “Smash Stormont” unlike those in the Official IRA who along with the CPNI (Communist Party of Northern Ireland), favoured the democratisation of Stormont. So it was natural for us militants in PD to try to influence and win over to marxism and socialism working class militants within the Provos. However we always regarded the Provos as a petit-bourgeois nationalist organisation that was anti-imperialist. Inevitably mass movements break up. 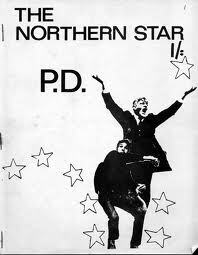 Some of the PD activists ended up in the judicial system, implementing British law and order. Others went into academic life and began to revisit history. Some became Unionists (ie supporters of the six counties being part of Britain – PF), some of us marxists, others republican and continued to try to change the world. Others simply went into the media or disappeared from public life. Marian Price is a long-time revolutionary activist in the national liberation struggle in Ireland. She was imprisoned in Britain in the 1970s for her activities in the IRA (Provos). While in prison she went on hunger strike and was force-fed for more than 100 days. Marian left the Provos in 1998 over disagreements with the direction taken by the republican leadership. She is now active in the 32-County Sovereignty Movement and is chairperson of the Irish Republican Prisoners Welfare Association. Marian is currently being held in prison in the six counties; see here. Below is a slightly-edited version of an interview with her conducted by Carrie Twomey, which appeared in the Irish republican internet journal The Blanket. It has mainly been edited with an eye to a NZ readership not necessarily familiar with particular groups, individuals and events. I copied and pasted it into a word document in 2004, but there’s no trace of when the interview took place and appeared in The Blanket and I can’t find it by googling. I assume the interview was done, therefore, in 2004 or at most a year or two earlier. Carrie Twomey: How do you see the lay of the land for Irish republicans? Marian Price: I think it’s very interesting. I felt and still do believe that Sinn Fein will go the whole way. I don’t think they have any intentions of going back from the Good Friday Agreement (GFA). As far as republicanism goes, I wouldn’t consider SF today to be republican. I see SF now as being a nationalist party. And that’s by choice. This is certainly impressive. It is both readable and the product of immense research. 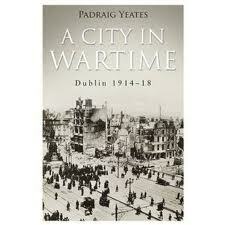 For those who want to know how Dubliners lived during the First World War, it is probably indispensable. The qualifying word is “probably”. This reviewer would be readier to accept unquestioningly the detailed information on social conditions were it not that he knows that the book’s political narrative is distorted by glaring omissions.